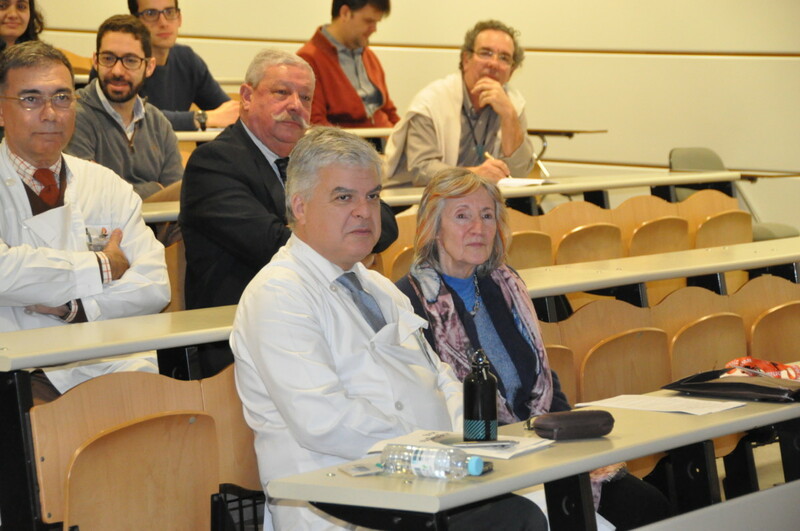 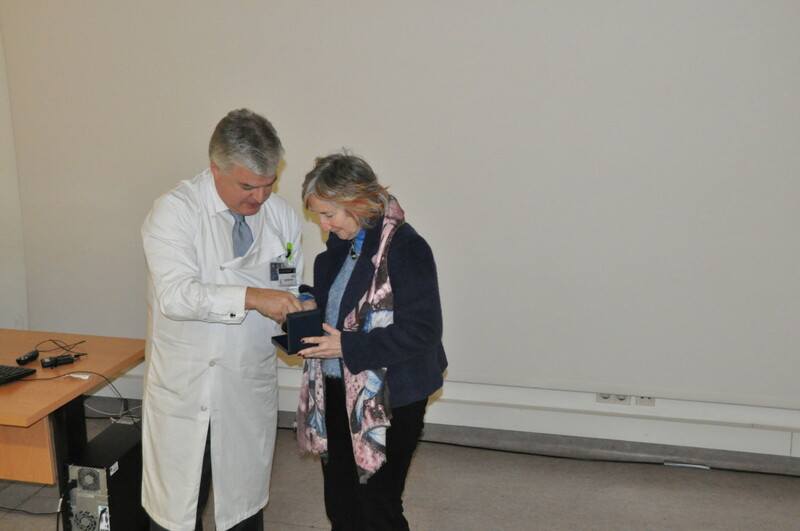 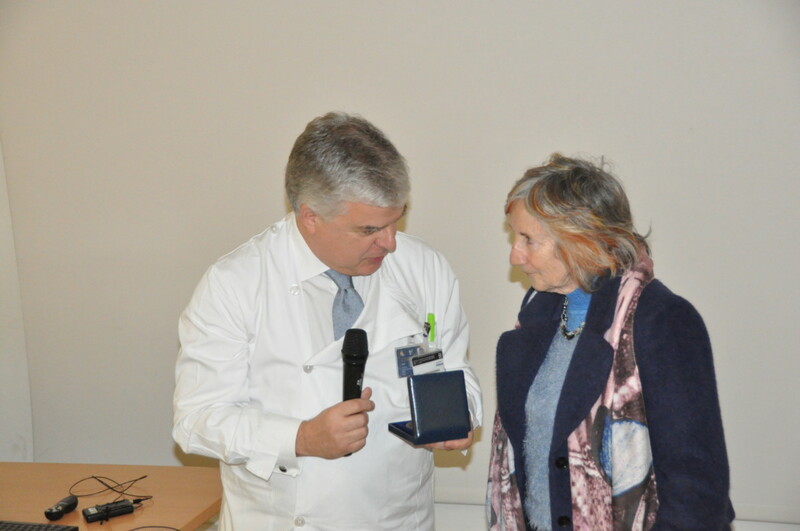 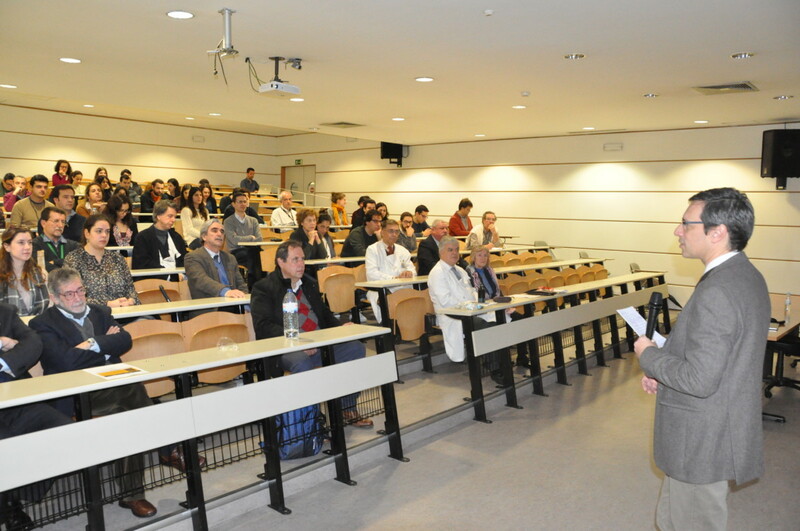 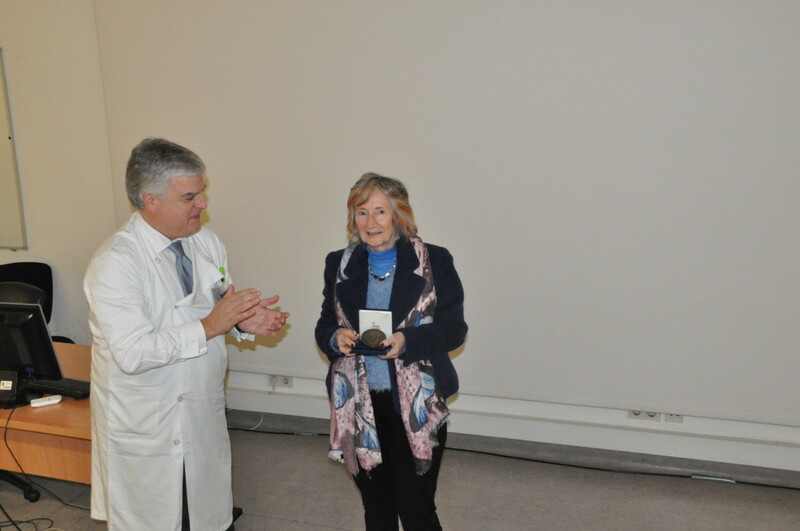 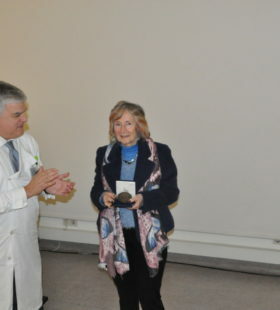 Taking place in a full amphitheatre, on the 19th of March, a tribute to Professor Carlota Saldanha, Retired Associate Professor of the FMUL was attended by many professors and collaborators from the Faculty. 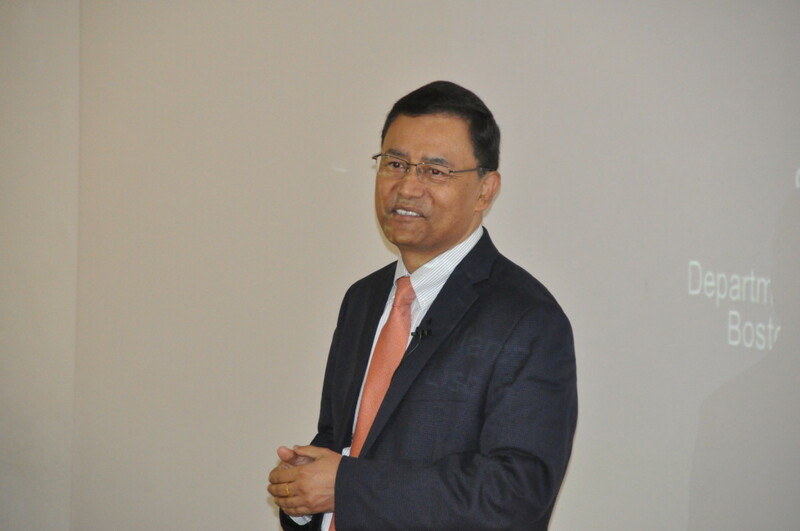 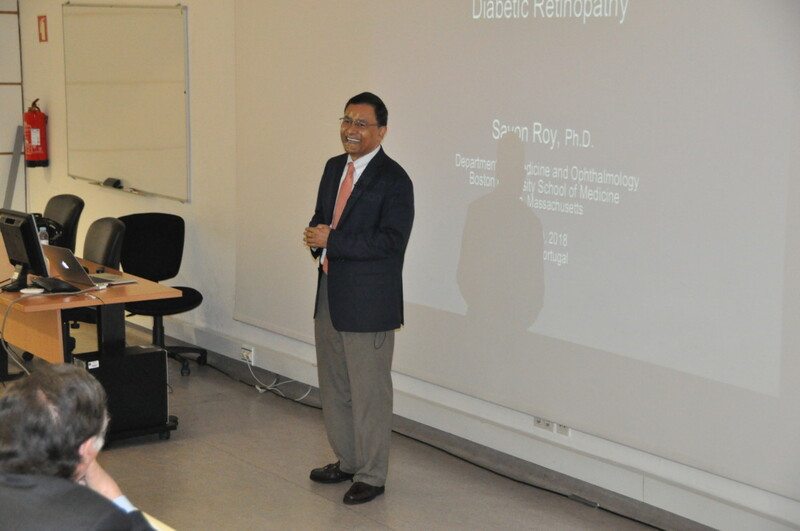 Professor Sayon Roy, Professor of Ophthalmology at the Faculty of Medicine of the University of Boston, was the guest speaker. 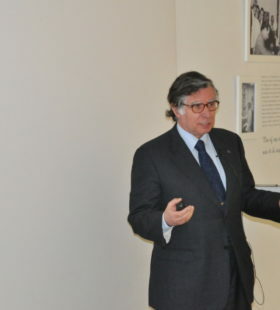 Recognised as a specialist in retinal vascular biology, his work identified various genes in the retina that are abnormally expressed in diabetic retinopathy. 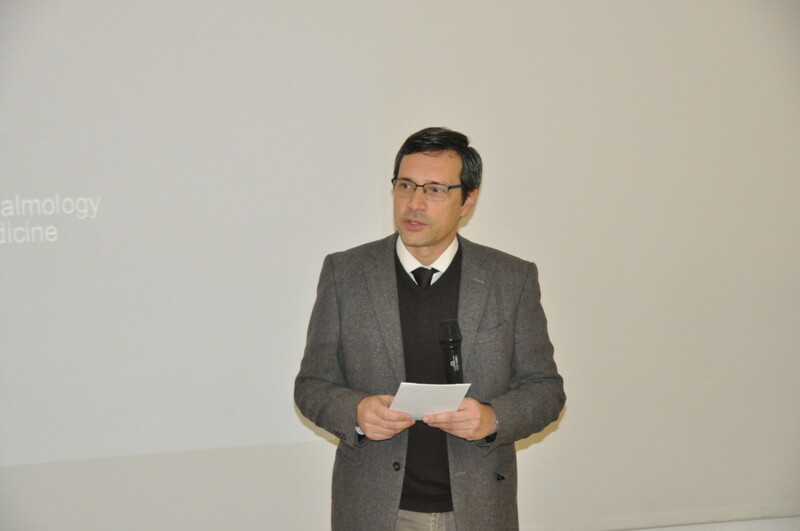 He presented the topic “Mechanistic Insight into Vascular Changes in Pathogenesis of Diabetic Retinopathy”, speaking about diabetic retinopathy as the main cause of blindness in the working population. 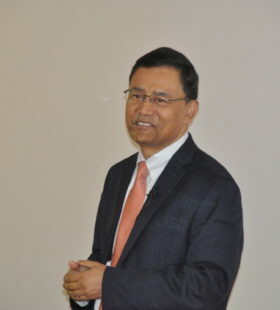 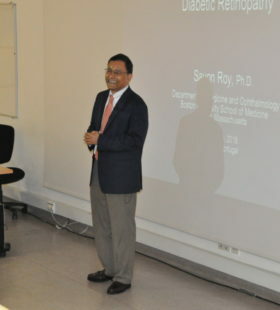 Professor Sayon Roy has received numerous awards, including the American Diabetes Association Research Award for commitment and dedication to the fight against diabetes, the 2006 Boston University Mentor of the Year Award and the 2008 Innovator Award from the Juvenile Diabetes Research Foundation. 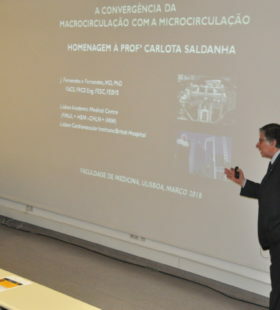 Next up was Professor José Fernandes e Fernandes, former Director of the Faculty and his presentation on the theme “The Convergence of Macrocirculation and Microcirculation”. 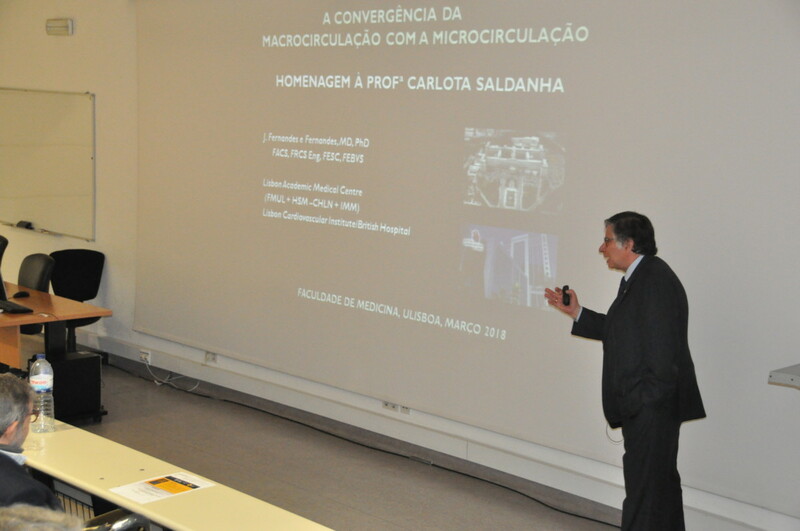 He detailed how he met Prof. Carlota Saldanha and remembered that the subject of the conversation they had was precisely Microcirculation. 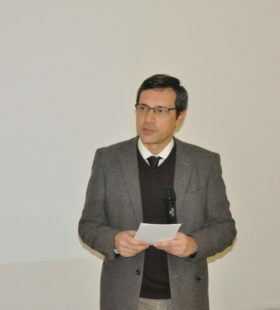 A theme that proved to be a common interest over the many years during which they worked together and that, therefore, was the only possible choice for this ceremony. 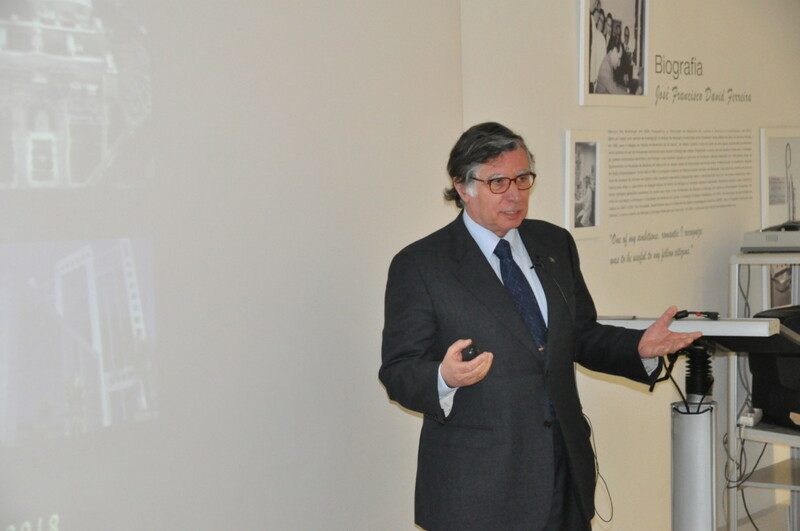 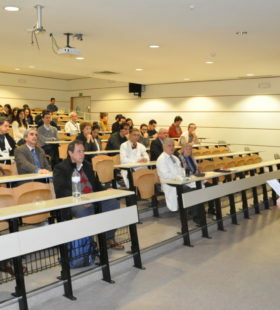 In the final minutes, Professor Fausto Pinto, Faculty Director, paid his own tribute, thanking Prof. Miguel Castanho for the initiative of this tribute and celebration of the collaboration of Professor Carlota Saldanha, “a person that was very dedicated to the school, with a great capacity for commitment”. 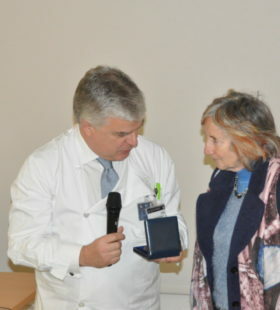 He awarded the Medal of the Faculty as a way of thanking her, in an emotional and certainly striking moment for those who attended the ceremony. 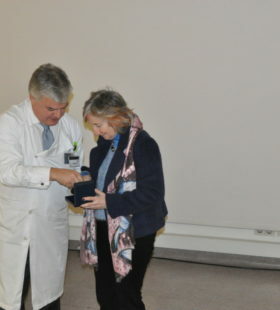 To end the session, the Professor thanked everyone for the kind words that were addressed to her. 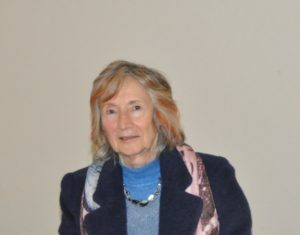 All the opportunities she had in teaching, researching and in all the work groups that she coordinated, not forgetting those who helped her on this path and were therefore crucial to this academic journey. 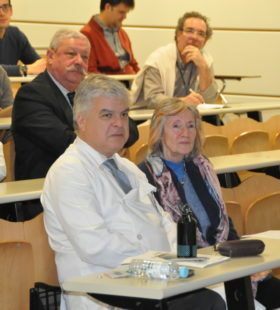 We will interview Professor Carlota Saldanha for the next edition of the newsletter and we will try to know more about the person, the professor and the researcher who, despite being retired, keeps her door open to all those who wish to talk to her at the Biochemistry Institute, on the 2nd floor of the Egas Moniz Building.